With the summer solstice just around the corner, I'm getting back in touch with nature to bring you a bright selection of products that are positively bursting with blush colours and elegant design! This month, I’ve chosen some truly wonderful items, some of which are new to our range, that can be combined to create a chic finish that's perfect for the summer. The look is soft and floral, with touches of soft millennial pink, an on-trend colour which you may have recently spotted in our Get the look: Boutique Blush style guide. If you read my recent blog post fun ideas for a striking bathroom floor, you'll notice I have a real passion for patterned flooring! Last month, we launched our new range of Ted Baker tiles and I absolutely adore them! They come in a range of styles and patterns and look elegant in any space. I’ve picked out these gorgeous Partridge tiles for this month’s selection. 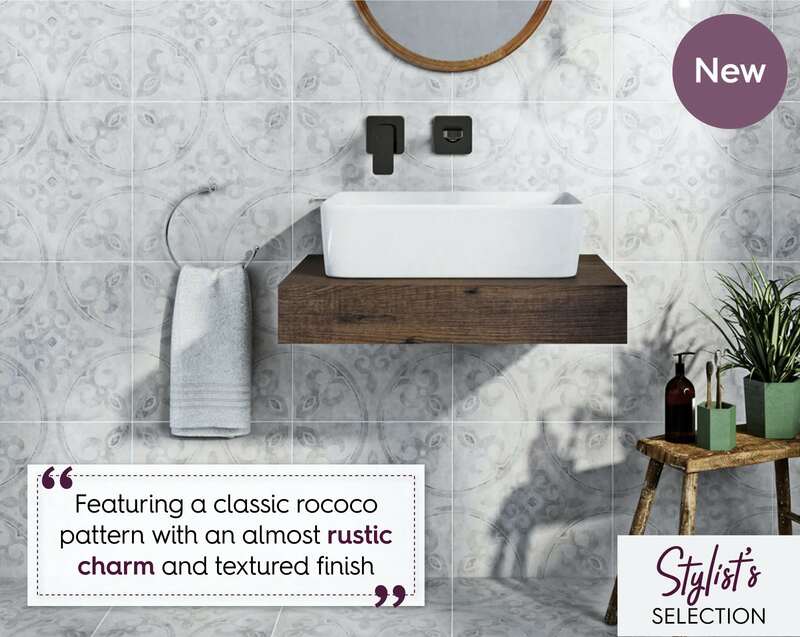 The classic rococo pattern in contrasting shades of matt grey is incredibly stylish, as you might expect from a fashion designer, creating the perfect backdrop to your summer-infused bathroom. Pink, in its various forms, is the colour of the moment. Graham and Brown identified Penelope as their colour of the year for 2018, a "beautiful shade of pink with peach undertones" and here at VictoriaPlum.com, you'll be happy to discover we have our very own perfectly pink shade which is ideal for your interiors. Customers are going all gooey for our wonderful Craig and Rose Marshmallow bathroom paint—a must-have item, especially if you are a keen trend-follower. 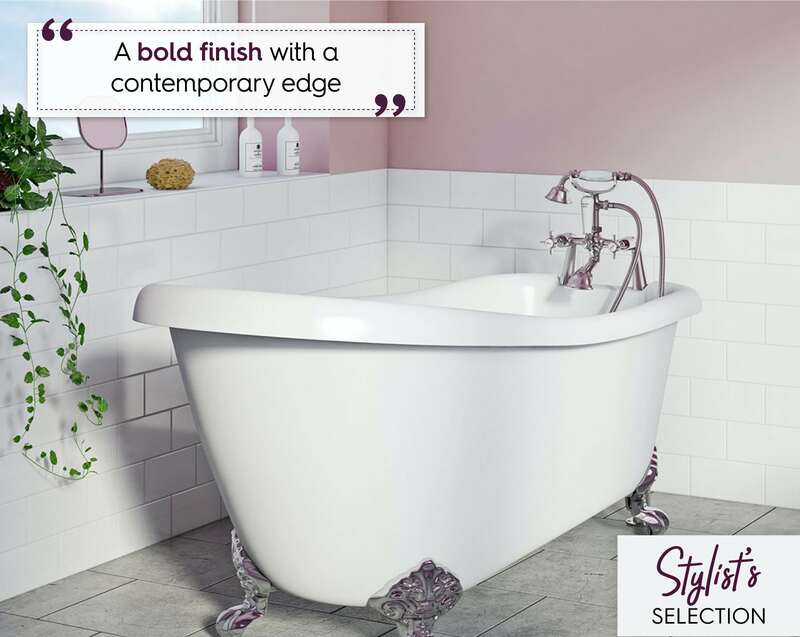 Producing a bold finish with a contemporary edge, our paint is specially formulated to prevent mould from developing with ultra-low chemical levels for added peace of mind. It'll make a real style statement! 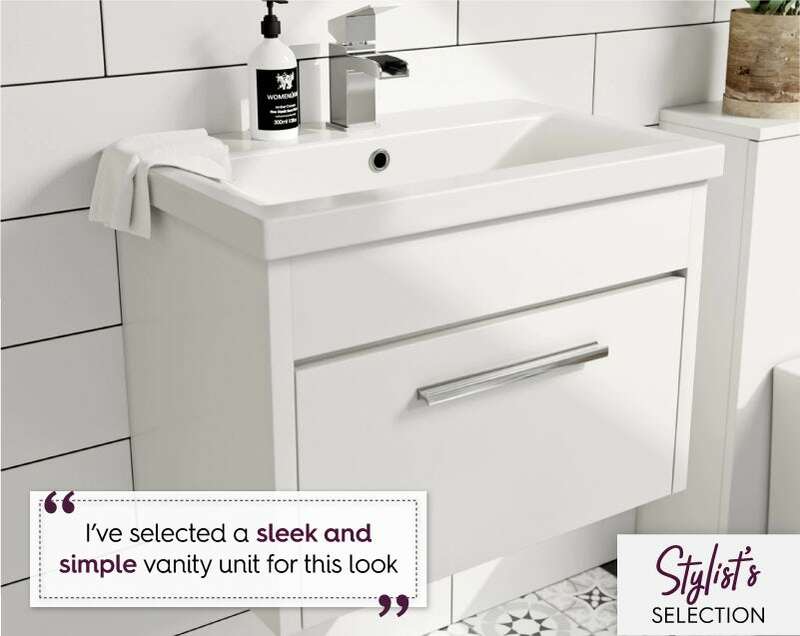 I’ve selected the sleek and simple Clarity white wall hung vanity unit for this look. In my selection, there are a lot of products which really stand proud and I wanted something which harmonises the overall look and feel. It also comes with a handy storage drawer so you can hide away all those products, keeping the look fresh and clean. 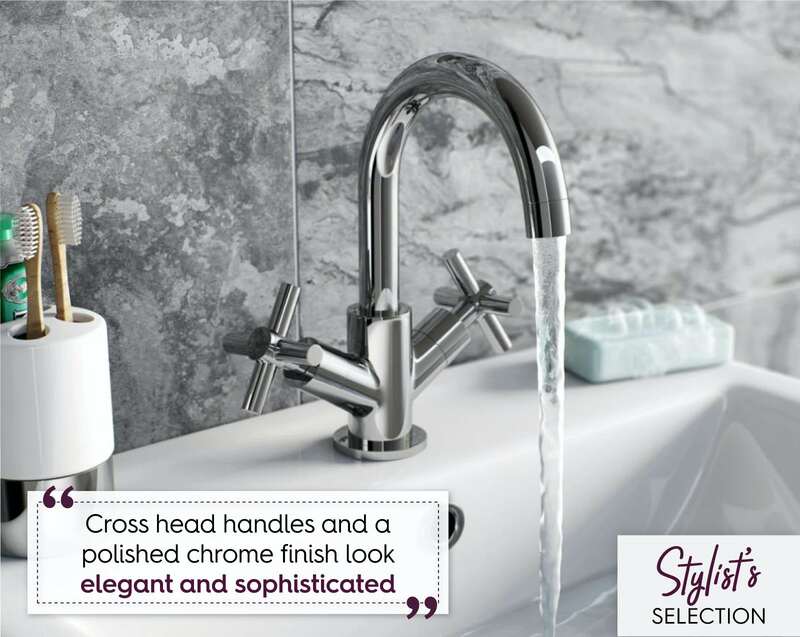 With its cross head handles, curved spout and polished chrome finish, the Mode Tate tap mixer tap works perfectly with this chic style. A modern twist on a classic design, the look is both elegant and sophisticated. 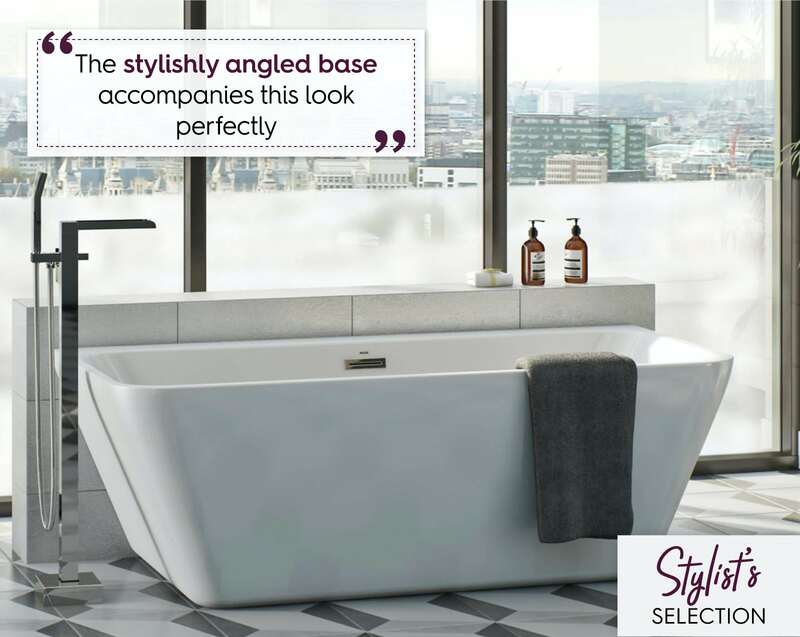 This month, I’ve selected the Mode Carter bath, as it has a stylishly angled base which accompanies this look perfectly. As it is a back to wall bath, you won't need masses of space to incorporate it into your bathroom layout. You can even complement with some lovely wall mounted taps such as the Mode Tate bath filler tap which have the same cross handles as the basin tap suggested above. I’ve worked with numerous people on bathroom projects large and small and, in most cases, the toilet seems to be a last minute thought. But, why? Available in a wide range of sizes and designs, your toilet forms a key part of your product selection, so you have to be sure that it will suit your chosen look. 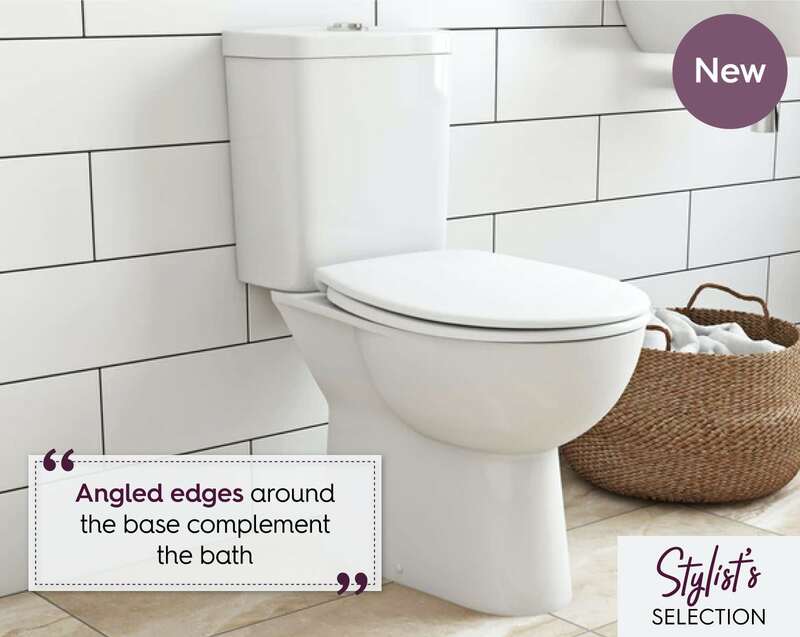 This month I’ve selected the new Grohe Bau close coupled toilet that complements my choice of bath, with the same angled edges around the base, making them perfect partners. Plus, with rimless technology, it is easier to clean and more hygienic. 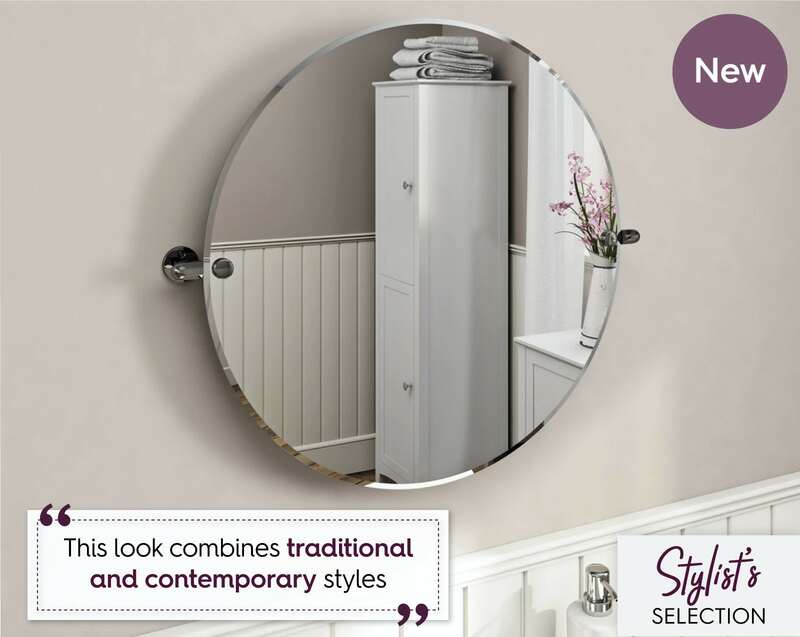 The look I'm trying to achieve combines both traditional and contemporary styles, so for this selection, I’ve added a traditional mirror from The Bath Co. with a very modern edge. Featuring a circular shape, it'll look great above any basin, with a handy pivot function that's perfect for applying makeup and getting the light just right. If you have the space for a double basin you should definitely double up on your mirrors—it'll look fab! It may be June, but those early mornings can still be a little on the chilly side! 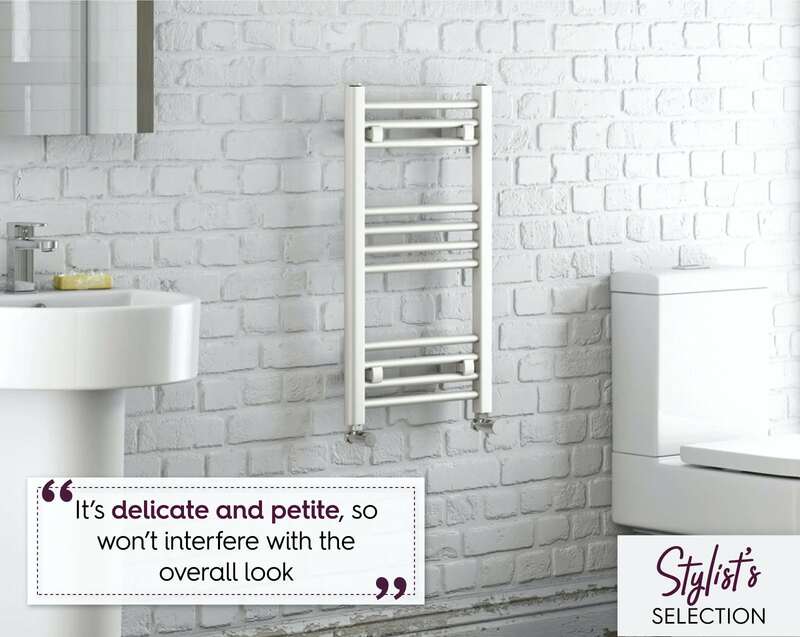 I've selected a white heated towel rail as it would work perfectly against a blush pink wall. It's delicate and petite in style, so won’t interfere with the overall look. 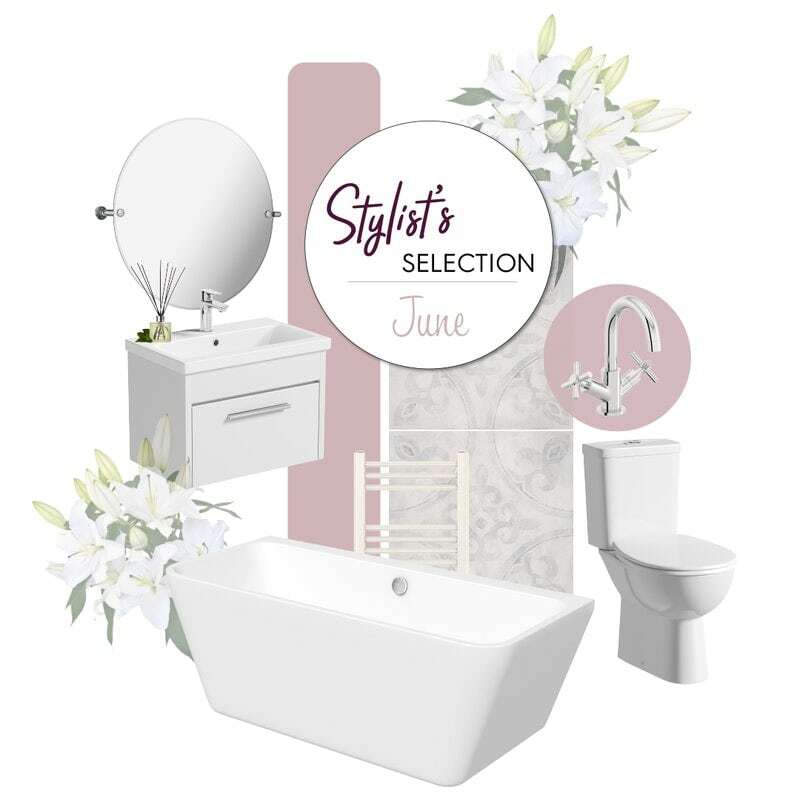 Why not check out some of my previous Stylist's Selections by heading to our bathroom ideas section? You're bound to find the right combination of products for your dream bathroom. May is one of my favourite months of the year. With summer just around the corner, it’s the perfect time of year to freshen up your house and your mind. Check out my top bathroom picks for a bathroom that's bright and sunny all year round. Full of feminine virtue, we'll show you how to create a charming and playful interior in your bathroom with the latest look: Boutique Blush. The French Floral look is the latest summer trend to hit our bathrooms. Très chic and wonderfully unique, we'll show you how to achieve this style.